One of the most interesting changes contained in the KOW FAQ v1.5 released on the weekend is the inclusion of new errata regarding the aftermath of Combat. 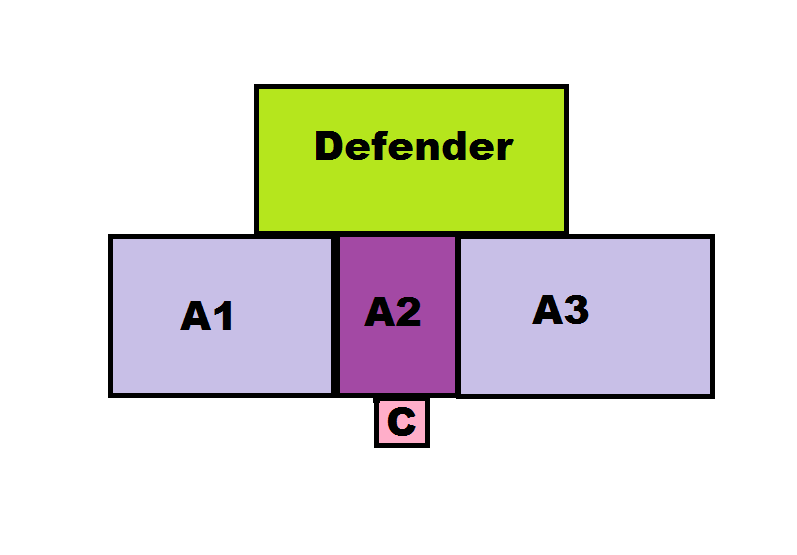 Here you have three units combo-charge a wide defender. The Target remains and the three attackers must withdraw 1". By the inadvertent (or judicious) placement of a character behind A2, that unit is unable to retreat 1" and so the Defender does. 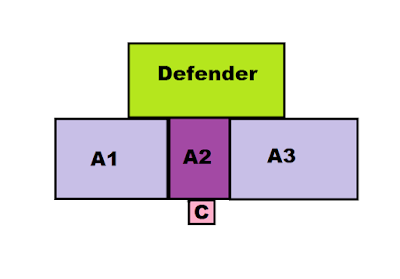 If the Defender is then boxed by its own units, its only target becomes A2. A smart opponent could use the placement of his units and characters to ensure that any countercharge had to be directed to the highest Defence (or highest Nerve) target. It also allowed Thunderous Charge on units A1 and A3 to reset for future combats. I asked on the forums last year whether this was intended and was told that it was legitimate (which is a slightly different thing). With our local group, I explained it to my opponents prior to a game so there wasn't a "gotcha" moment. Personally I am glad to see it gone. I always felt it was an unintended consequence of the interaction of two rules. The problem was it could happen consciously or by accident but always felt a bit "gamey". The FAQ clears it up by creating a same distance for all mechanic. Yeah. Good change. I've used this before but it felt dirty. I wonder what the odds would have been to actually pull this off in a game. Pretty good. You usually have a standard bearer or something following regiments. So if you send more than one unit in and there's one you don't want counter charged you just move the individual into contact with the other one. As Lliam says it was pretty easy. I reckon if you played for it you could get it pretty much every game. Felt that like railroading in WHFB it wasn't intended but unlike GW, the Rules Committee have put the genie back in the bottle.